It has been proven that the process of UV curing is a safer, faster, more controllable and a more economical way to bond materials. The trend of two part solvent based adhesive bonding migration to the use of single part UV curable adhesives continues to accelerate at a fast pace. 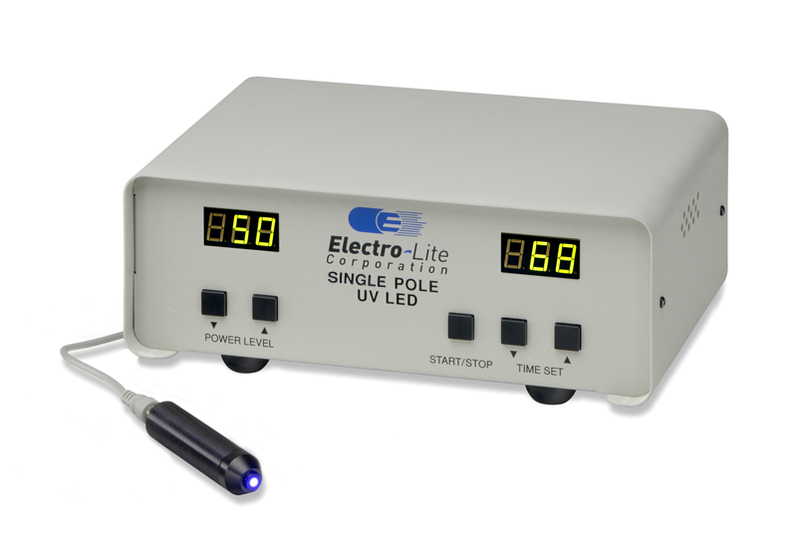 To assure our customers and potential customers that UV curing will work for their manufacturing process, Electro-Lite offers the services of a complete UV curing laboratory to "prove-out" the feasibility of UV applications. To explore whether your present manufacturing process can be converted to a UV curing application, simply forward samples of the material you would like to bond and a basic assembly description. 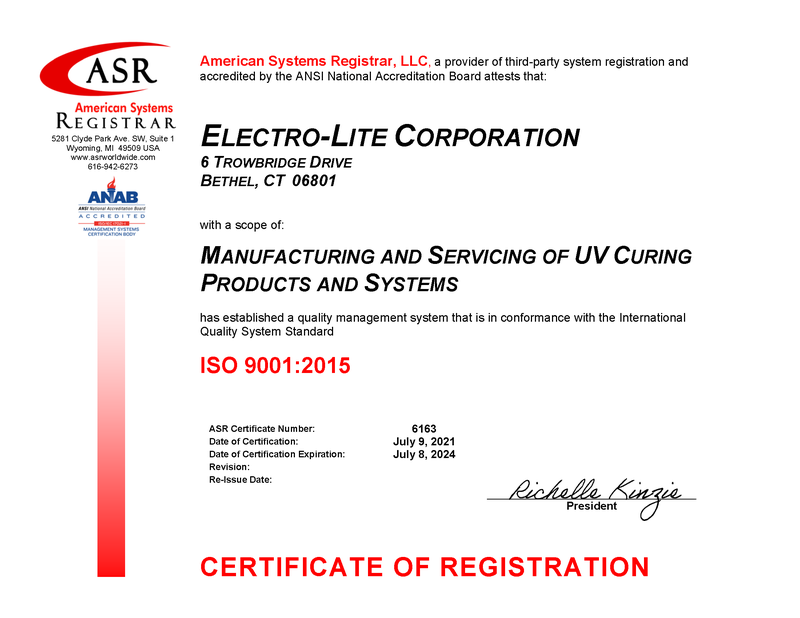 Our UV curing applications lab will run a series of studies and come up with the best approach to your manufacturing process. Upon the completion of our study we will forward the results and a complete equipment and process design recommendation. If your manufacturing parameters call for automation or specific adhesive dispenses methods we will put you in contact with one of our authorized systems integrators for a complete system design and implementation.